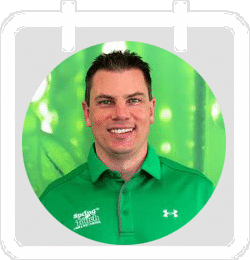 We will schedule an introduction call and during this call, we will tell you about Spring Touch, our history, what makes us different, and about our franchise opportunity. We will also discuss your goals and interests to determine if Spring Touch is a good fit for you. If, after our initial conversation, we feel that Spring Touch is a good fit for both parties, we will provide you with our Franchise Disclosure Document (FDD) for your review so you can learn more about our offer. After this stage, we will ask you to fill out a Franchise Application to help us better understand your background, financial status, and business goals. After receiving your Franchise Application and signed receipt of the FDD, we will arrange a call to answer questions you may have about our franchise. We will also use this time to discuss questions we may have for you. Then we will tell you about our Discovery Day. Prior to coming out to a Discovery Day, we will call you to ensure you are prepared and also give you the opportunity to ask any further questions you may have. During your Discovery Day visit, you will be able to visit our 40,000 sq. ft. facility, located on 5 acres, in southern Minnesota. You will be able to meet our founders, see our systems and equipment at work, and get a true assessment of what running a Spring Touch Franchise would look and feel like. During this visit, we will be able to answer all your questions in person and spend time getting to know one another. If, after completing your Discovery Day, both parties feel that a Spring Touch franchise is a good fit, we will outline our final steps and complete the process towards approving you as a franchisee. Congratulations! 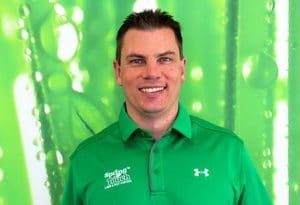 You are now a Spring Touch franchisee and a part of the Spring Touch family. We will schedule your initial training at our corporate office and get you started on your journey of opening your franchise! After you fill out this form, Nathan Newlands, our Vice President of Franchising/Co-Founder, will be in contact with you. Expect a brief phone call and discussion to get the conversation going, with plenty of time available following the call for us to work on the success of your business.